Stroud Road Uniting Church (formerly Methodist) was erected in 1915 after the coming of the North Coast Railway Line. The village was the railhead for the Stroud area and at that time was a stronghold of Methodism. 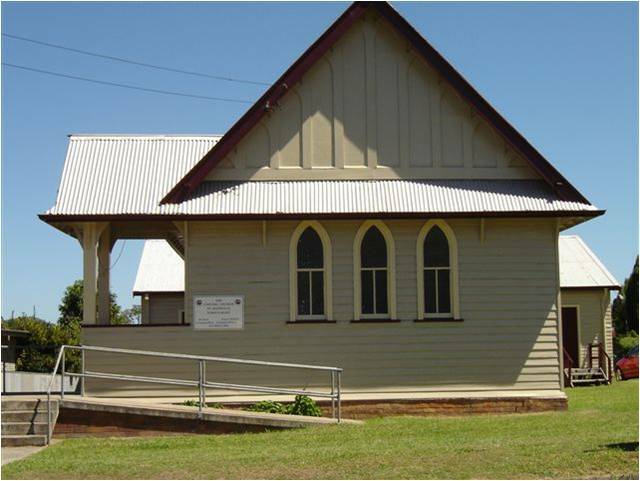 The church was opened on Anzac Day 1915. Internal fixtures include an honour roll for World War I and II as well as a marble memorial to members who served in France 1914-1918. The pulpit was relocated from the Wesleyan church at Telegherry. Stroud Road Uniting is the only church in the town and still has services on the first and third Sundays. To mark the centenary celebrations a special anniversary served will be held on Sunday, April 19 at 10.30am followed by a light luncheon. Minister Rev Andrew Watts who was here in the 1990s will be the guest speaker. Please RSVP for the lunch to Roslyn Ince on 0417 479 650 or Christine Mudford on 4994 5959 by Thursday 2 April.